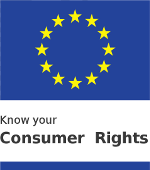 IberGour complies with the European rules for return of online purchases. Do you want to return a product? Email us at info@ibergour.com . How long will it take after I request a return until I receive the refund or exchange? Once we receive the return request, we will ask the carrier to contact you on the following business day. The shipping costs will be covered by IberGour; you won't have to pay the carrier anything. We use standard shipping service, so depending on where it will be picked up from, it will take +/- days for the product to arrive (see shipping times for your country). 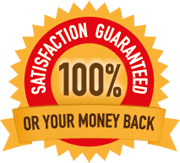 Once we receive the returned product, we will verify the applicable information on the following business day and contact you via email to arrange the refund or shipment of a new product. What are the terms, and how will refund or return process go? Once we receive the returned IberGour product, regardless of its condition, we will move forward with the refund or exchange for a new product. The only condition is that it be within the guarantee period (6 months for jamones and shoulders, unlimited for all other products). The return will be processed within 24 hours after the receipt of the return. How will I receive the refund? In cash, through the bank...? We will return the money in the same form that we received it. If you paid with a credit card, we will issue a refund to that same card (you will see an increase in the balance). If you used your PayPal account, it will be returned to that same account. And if you paid via bank transfer, we will ask for the number of an account in your name. What is the physical address I have to send the exchanges or returns to? You don't have to worry about sending the product anywhere. The carrier will pick it up and bring it to us directly. He already knows where to deliver it. You just have to send us an email at info@ibergour.com , and we will take care of everything. Discounts, refund guarantee, shipping costs, payment methods. Keep up to date with our OFFERS! Several times a year (for example, Christmastime or for our anniversary), we launch very short-lived (normally 1-3 days) discount offers on our jamones. Subscribe to our newsletter, and we will let you know when there is an offer.